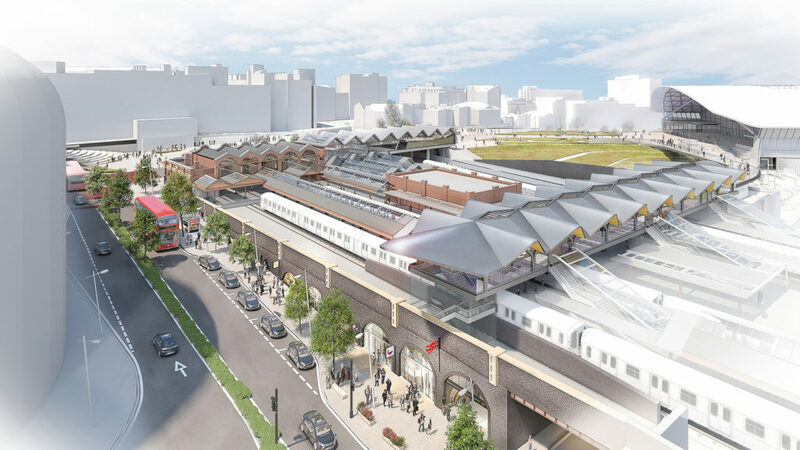 Proposals for a “radical yet respectful” transformation to Birmingham Moor Street station have been released. The existing station building, which dates back to 1914 and is Grade II listed, will be enlarged to more than double the size of the concourse, up from 910 to 2,000 square metres, and to introduce two new platforms to meet growing passenger demand at the station, which is within walking distance of both the existing Birmingham New Street station and HS2’s terminus at Curzon Street. 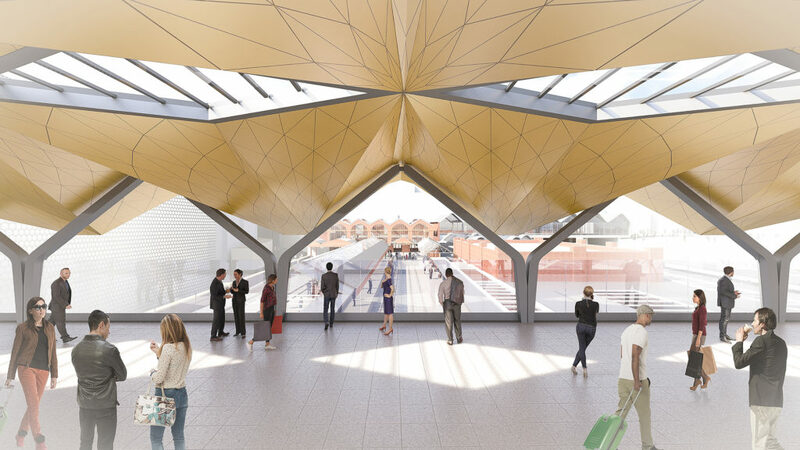 The new platforms will be used for extra services to and from the East Midlands, Hereford, Worcester and the South West as part of Midlands Connect’s Midlands Rail Hub proposals to increase rail capacity. Birmingham is adopting a “One Station” strategy, and the new proposals will create seamless links with both Curzon Street and New Street stations. 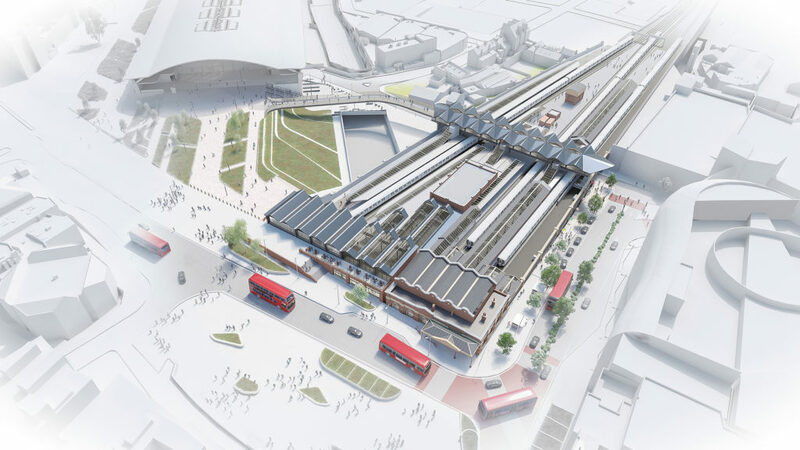 There will be a new transfer deck, with access to every platform and links to a new footbridge taking passengers directly to HS2 services from Curzon Street via a new public square. In the wider area, there are also several options that will improve pedestrian access between Moor Street and New Street. These include a safe, well-lit and direct route via St Martin’s Queensway; new steps and a ramp at Swan Passage, adjacent to the new Primark development; and a new ramped route from Rotunda Square to New Street Station. Introducing a second entrance at the south of the station should improve passenger flow, avoid overcrowding and create better access to the revitalised Digbeth area and the proposed £1.5 billion Smithfield development. Designs for the new proposals were prepared by Grimshaw and Glenn Howells Architects, who also worked together on designs for HS2’s Curzon Street station, based on concepts developed by West Midlands Rail Executive working in collaboration with Transport for West Midlands, Midlands Connect, Network Rail, HS2 Ltd, Chiltern Railways, West Midlands Railway and Birmingham City Council. Mayor of the West Midlands Andy Street said: “We have big plans for transport in the West Midlands and the expansion of Moor Street is a crucial part of that. Our game-changing plans for HS2 and new metro and rail lines are already driving investment, new jobs and apprenticeships as well as bringing communities closer to those work, training and education opportunities.